View from Hotel Ukraina. The hotel was built in 1961 as the Hotel "Moscow" in a location which originally was occupied by Kiev's first skyscraper, the Ginzburg House. 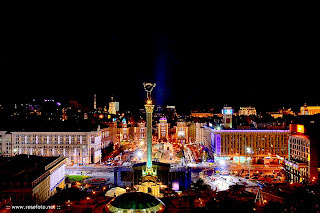 The construction of the hotel finished the architectural ensemble of Kiev's main street the Khreshchatyk which formed the post-war reconstruction of central Kiev. The hotel is state-owned. 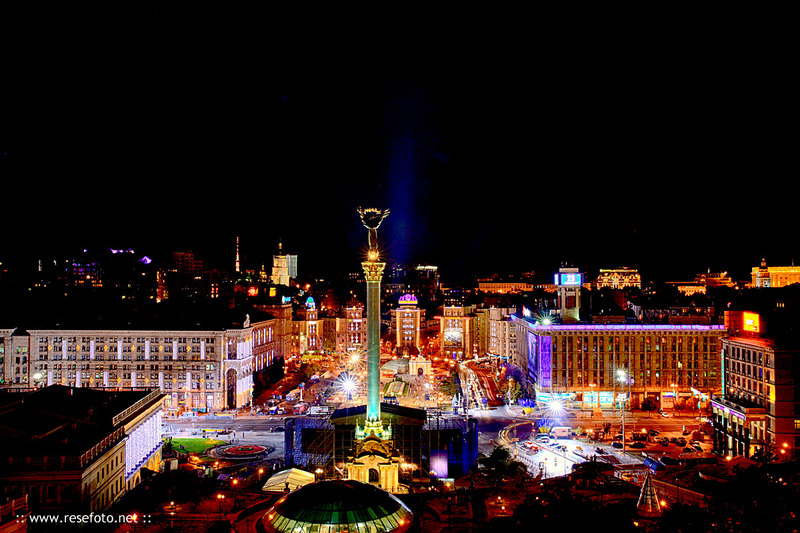 Some of the rooms are on long-term rent to television companies who take advantage of the view on many central Kiev's buildings that it offers.